Consider how many times Ecuador has left Assange in suspense on whether he would be evicted or not. It would begin to eat at you. Then consider the 8 month solitary confinement forced upon him last year which is considered one of the worst forms of torture (see my article “How Solitary Confinement Effects the Mind: The Plight of Assange). As though that is not enough, they have forced him to not do what he loves the most, journalism. Due to the fact that he had been gagged, he had to turn over the reins of Wikileaks to Kristinn Hraffnsson. The organization he worked so hard to create, he can no longer contribute to. There are other issues going on at the Embassy. Many people are turned away after scheduling a visit. According to a tweet by @wikileaks, Assange is isolated in a room the size of a small office 60 hours a week. Then there is the constant smear campaign kept alive by media which is also a part of PSYOPS. This is used to dehumanize Assange and make his torture seem less serious. It also paints him as a criminal. By constantly having police present outside, including directly under his window, the UK tries to instill fear of imminent arrest. This is intimidation. Another item is the “covert operation” by the country of Ecuador or the constant surveillance by camera and microphone which is not only against his rights to privacy but is meant to make him feel like a prisoner, not a refugee. In a recent visit by Cassandra Fairbanks a body scan was refused by Assange based on the precedent it establishes. By doing this, they are literally trying to force Assange into feeling like a convict. Assange is not allowed visitors on the weekends, not even his own lawyers. No fresh air, no sunlight or proper medical care for nearly 7 years has deteriorated Julian’s health and according to doctors irreversible damage has been done. This was instituted by the UK. 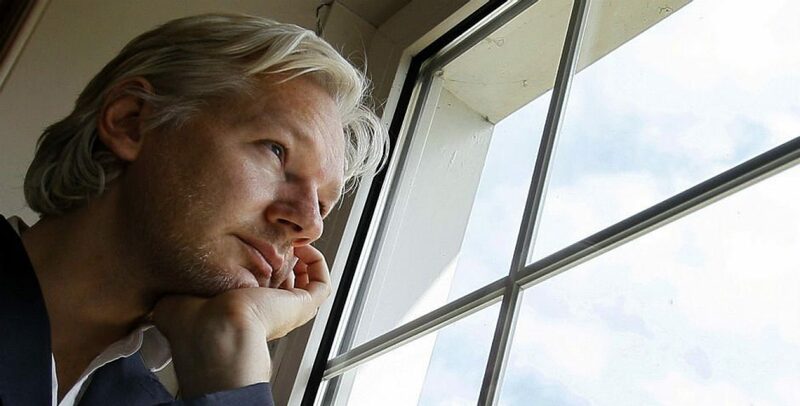 Assange has stood strong even through the solitary confinement which mostly did psychological damage to his mind. However, no man should have to endure what he has gone through for simply publishing material given to him. Perhaps, Assange knows the threat of what the US government would do to him if extradited far outweighs what he is going through. Regardless, Assange is a courageous hero who is honest and has more integrity than those who have unjustly attempted to destroy him.